Admit it! when you looked at the picture above you were drawn to the cool pizza sign. It is those simple finishing touches that make it. The council slabs are just four 900 X 600 put together to form two layers. Cemented on top of the bricks. 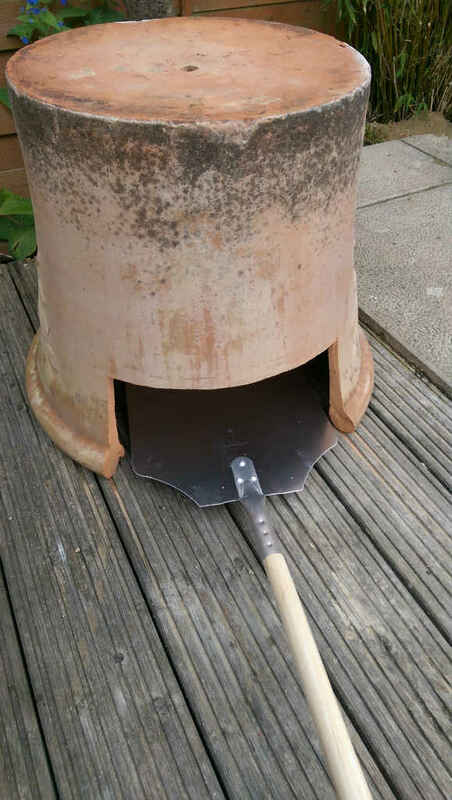 On the second layer, I cut a 54cm circle into the layer (I bit in both slabs) to match the diameter on my pot. 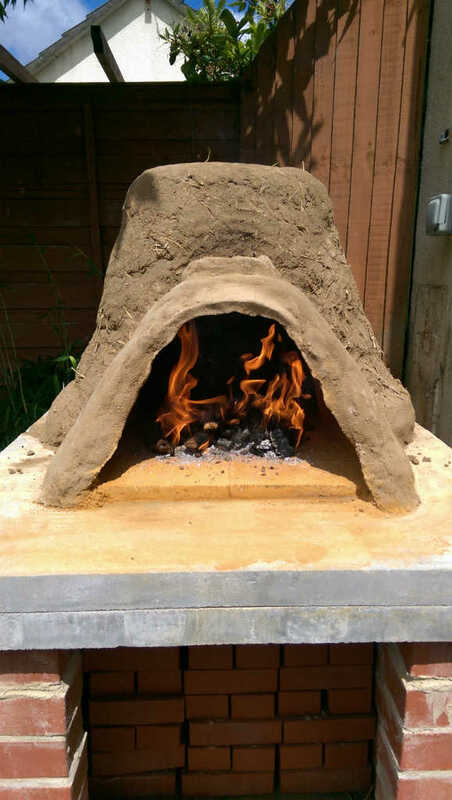 I filled this with fire cement which the fire bricks sat on top. 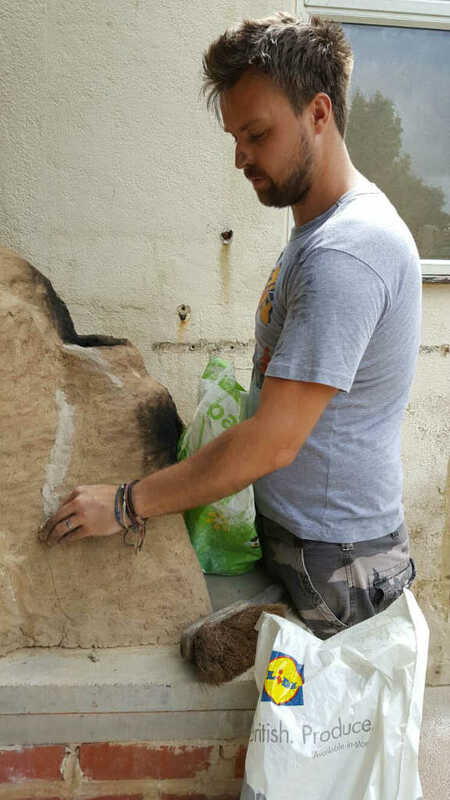 I let the fire cement dry first so the fire bricks are loose. The clay method is same as yours in terms of ratio. I did one mixed with straw, one mixed with wood chippings from pet store, then just one normal. 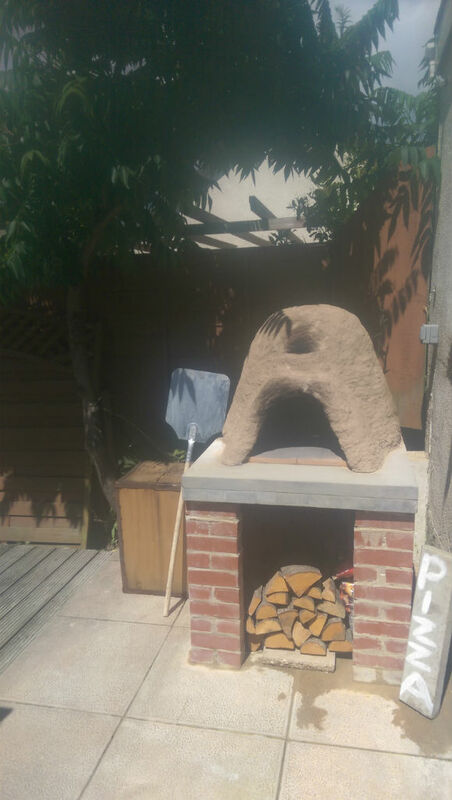 For the entrance and chimney I built this around sand dome, one normal clay, 2 insulation and one normal again. 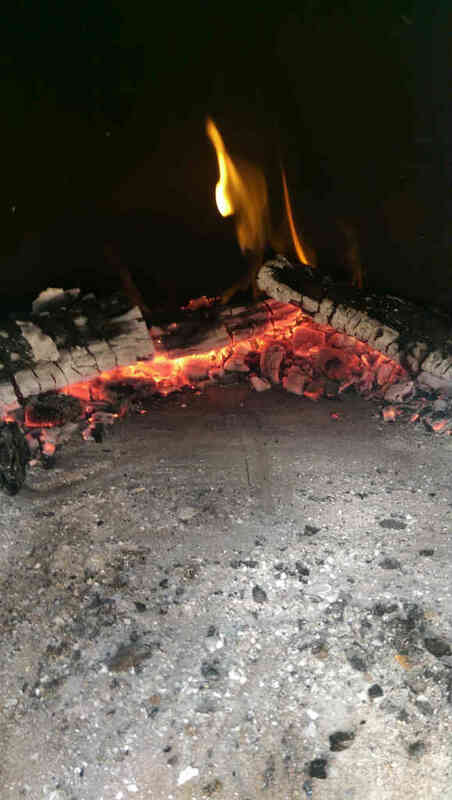 The chimney I just formed with my hands. Building bigger and thicker with every layer and was worked really nicely. 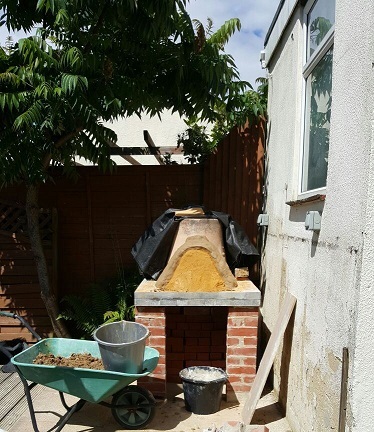 Fire bricks are just loose, I cut so diameter was just bigger than my pot. So weight of pot and clay around keeps them all tight together. So another novice DIYer with no bricklaying skills who just took on the challenge, and you can’t help but be impressed. Just go back to the picture at the top – WOW! 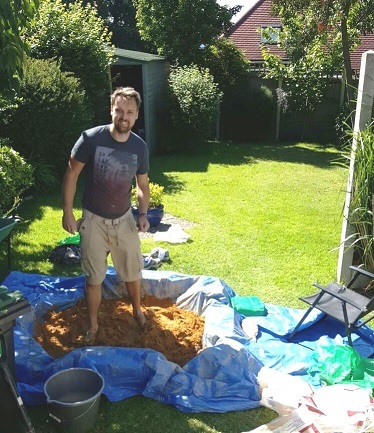 The next pictures show Dan doing the clay mix and creating an entrance using a classic sand dome. 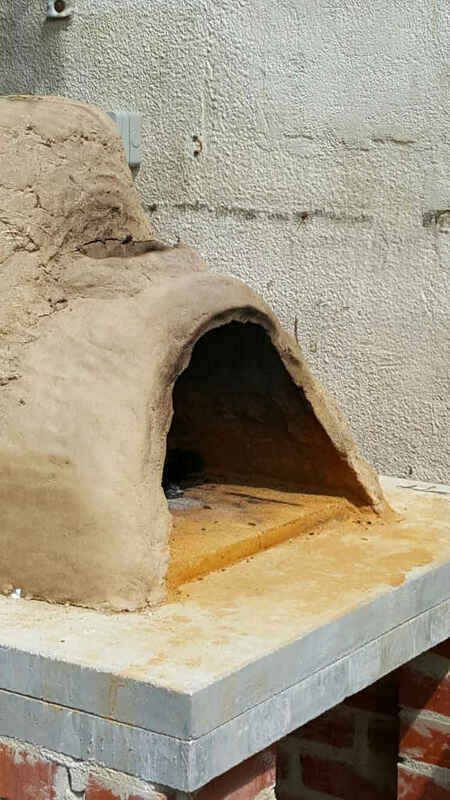 Next he created an insulation layer by mixing clay and straw which he covered the oven with, followed by lighting a fire to dry everything out. Notice the cool little chimney he formed, and also the firebricks he used for the floor. 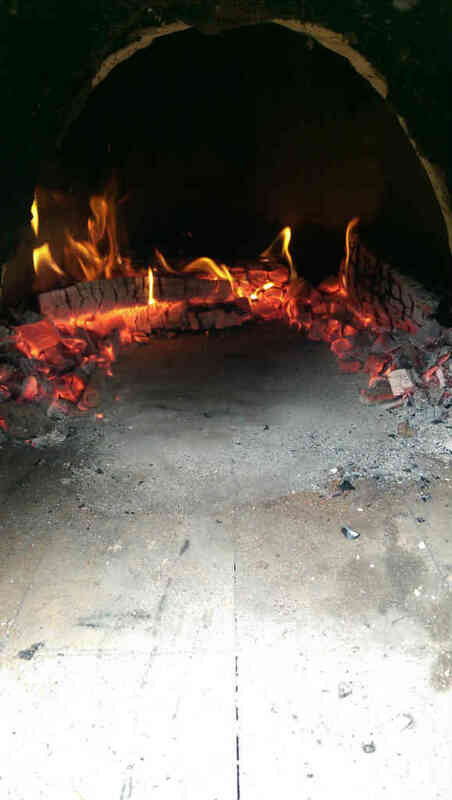 Now my favourite bit, lighting a big fire and cooking pizza. During this burn the walls got to about 520C after 2 hours and the terracotta pot on the inside has survived numerous fires now. 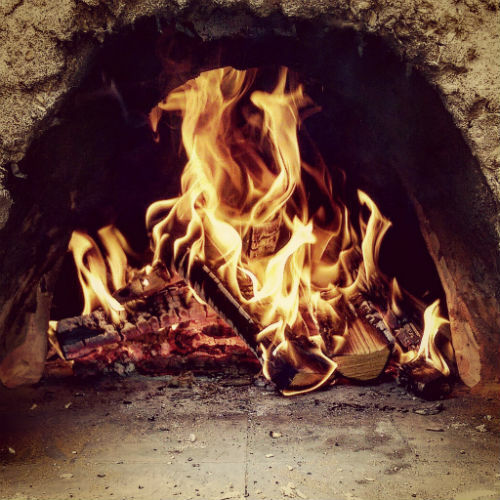 Now don’t worry about cracks in your clay, as these can easily be repaired, just make the most of your oven and get cooking. Once again special thanks to Dan for sharing his pictures and passing on his experiences. 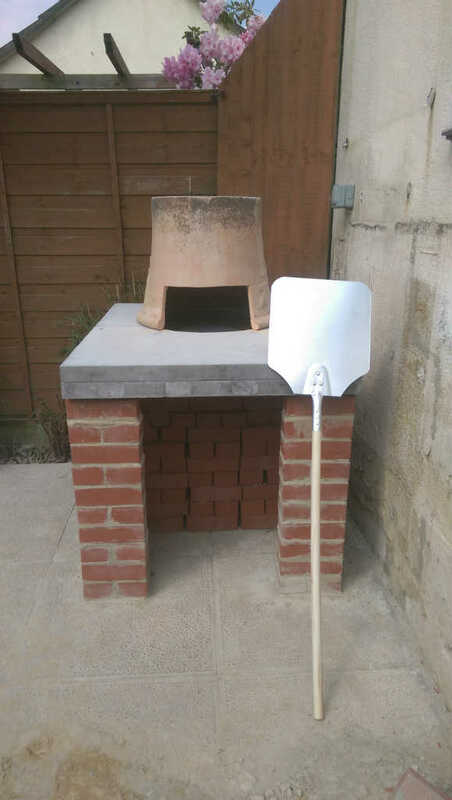 So all you people asking can you build a pizza oven from a flower pot – the answer is yes. 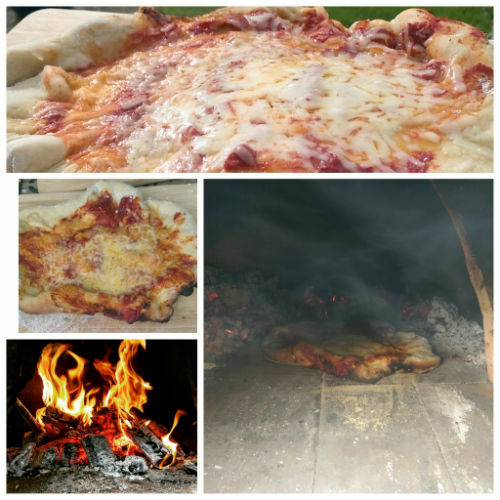 I hope you have been expired by this build, but if you are still not convinced you can do this, keep exploring the website and pick a pizza oven you can do. 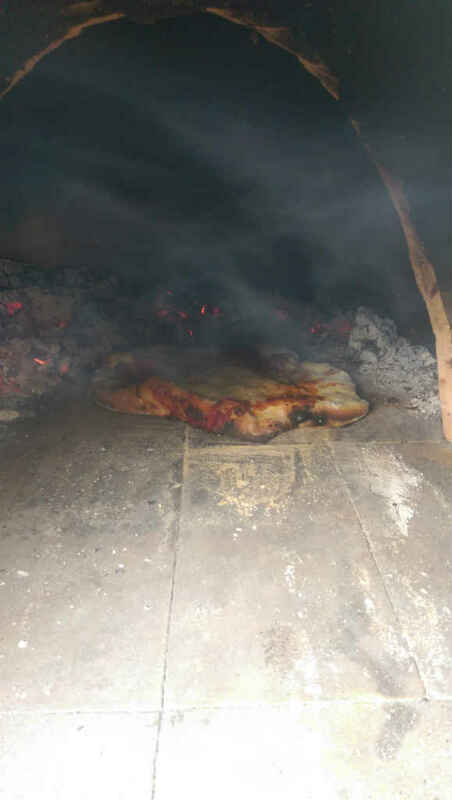 But let’s be clear, you can make any of the ovens you see here or on the blog, as they have all been made by amateurs like you. Dan also said if you have any questions on his build he is more than happy to help. Contact me via the website and I will pass it onto Dan. What a top guy!